I am a proud U-M grad living in Ann Arbor, MI since 1980. By day I’m a mild-mannered Director of Quality at a local software engineering firm. At night I change into colorful skin-tight outfits and hit the streets on foot or on the bike, except for those evenings when I put on a snow-white dogi and throw other people around a mat (and get thrown in turn). On December 3, 2011, I will turn turned 50 years old. And thanks to several years of training in running, cycling, Aikido, and other activities, I am in the best shape of my life. December 2011 to December 2012 will be a year-long event celebrating what’s possible at 50. I will be undertaking a series of activities designed to challenge me physically and mentally, and push me farther and higher than ever before. I’m calling this year-long endeavor my Personal Quest (PQ). For more details on exactly what I mean by a PQ, and what I have planned for 2012, see my “Quest 2012” page. My wife Joyce and I have two grown daughters. Tori lives in Richmond,VA, where she enjoys running and rock climbing. Rachel has just graduated from Western Michigan University. 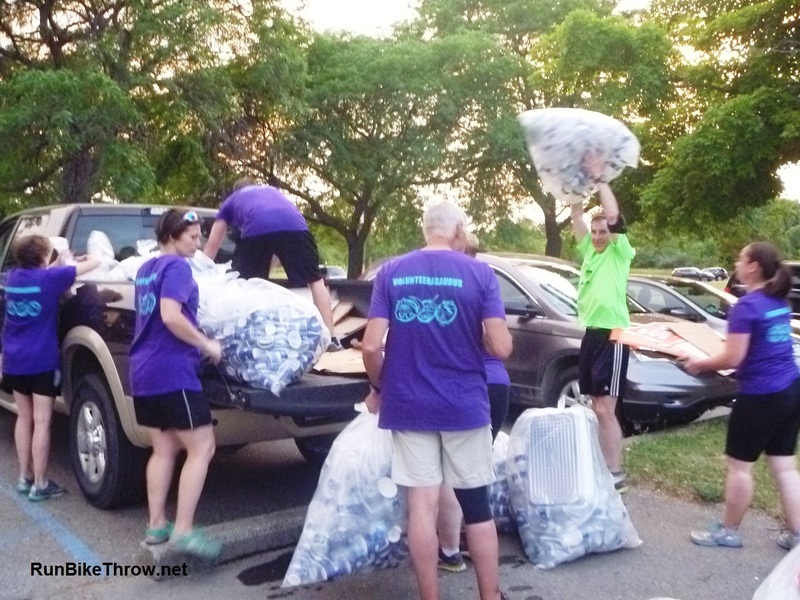 In 2011 we ran the 5K in the Borgess Health weekend in Kalamazoo, MI. Daughter and proud Dad at the Borgess 5K run – May 2011. I started regularly working on fitness in 2005, age 43, when I signed up for Aikido. I also began to bike and run more, although I didn’t begin tracking miles until 2008, when I began accumulating enough miles to track. I ran my first half marathon in 2010 (age 48) and ran my first full marathon in October 2011 at age 49. The stuff marked in blue on the Milestones chart are planned events, and the red bars on the miles charts are planned miles yet to run or bike.